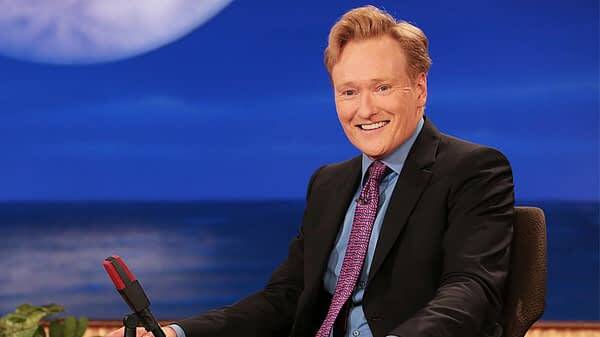 The television landscape has changed dramatically in the 25 years since Conan O’Brien began his late-night hosting career with NBC’s Late Night with Conan O’Brien, and now the writer/comedian is hoping that less really is more. TBS confirmed on Thursday that late-night talk show Conan will move to 30-minute installments beginning in 2019. While the new format is being described as “less structured,” the episodes will still feature a variety of guests and comedy sketches — based both inside and outside the studio. In conjunction with the announcment, it was also announced that O’Brien will be headlining a comedy tour later this year as part of Team Coco’s expanded partnership with the network. The multi-city tour will also feature a team of comics under the Team Coco umbrella. The show will also continue to expand its Conan Without Borders travel specials, which feature O’Brien hosting the show all over the globe. In previous editions, the show has filmed in countries such as Cuba, Italy, and Israel. Team Coco will also make O’Brien’s Late Night episodes available digitally. Bleeding Cool reached out to the late-night host via Twitter for a response regarding the show’s continued San Diego Comic-Con coverage, but did not receive a response at the time of the article’s posting.